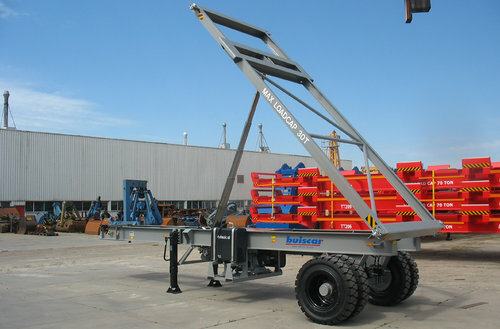 Skeletal trailer with a tipping frame carries and tips a 20ft ISO container. The frame is equipped with twistlocks to secure the container. 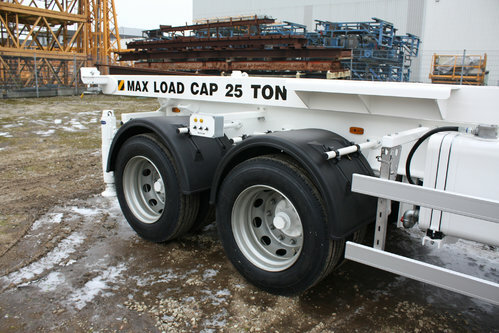 Buiscar heavy duty tandem or single axle configuration. Heavy duty tipping cylinders operated from the enclosed 24Volt electro hydraulic unit, power is to be supplied by an external system or by self supporting electro hydraulic power supply. 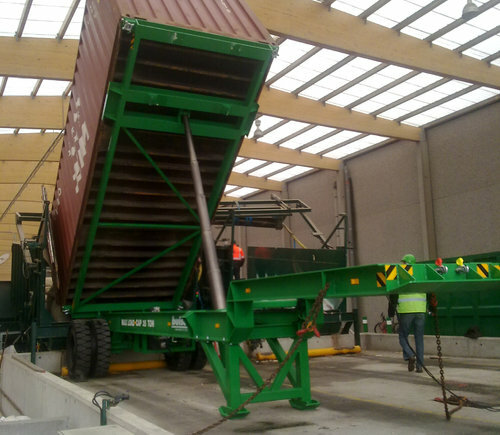 Efficient loading and/or unloading of containers with (bulk) material. 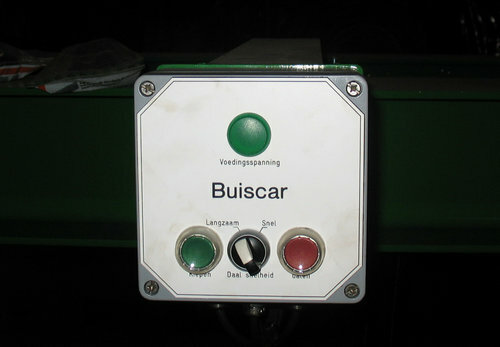 Operating control box with push buttons. The box can be installed on the skeletal frame or in the truck cabin. 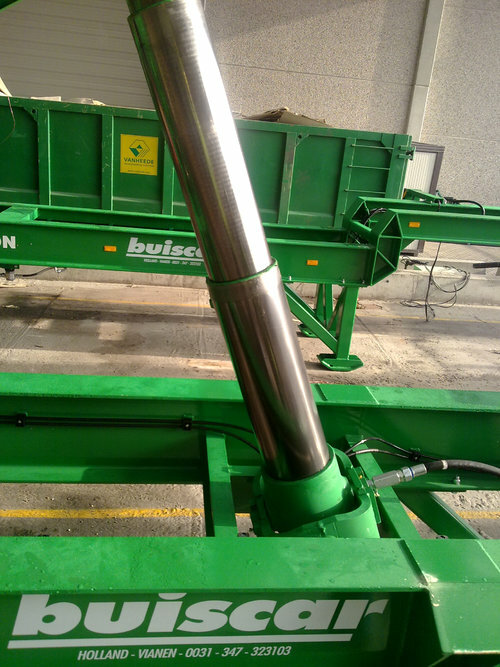 Buiscar tipping trailer with capacity of 40t and length of 20ft. Frame with automatic lockable twistlocks and customized frame size. Hydraulic system powered by a diesel engine. 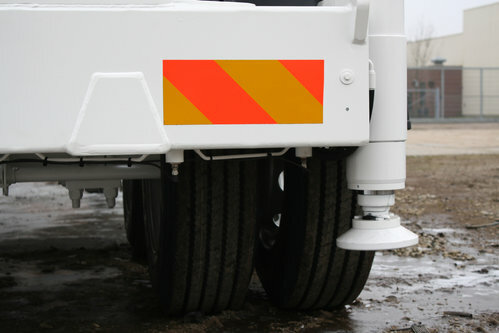 Running gear with one axle line, air suspension, double mounted solid tyres and braking system.